This Is How Oudney Patsika Reinvented Himself.  Home Featured Post Personality Developement This Is How Oudney Patsika Reinvented Himself. With everything from your wardrobe to your workplace getting a facelift, there is little reason why you should not consider tweaking up your ‘self’ too. Imagine waking up one morning and being the person you always wanted to be and having the life you always wanted to have. A complete makeover may not be possible, but then there is little harm in trying to reinvent yourself. Your present life may be either the upshot of life and career choices that were thrust upon you or the result of opportunities that came your way and were easy to grab onto. It could also be that you led a happy, satiated life until one fine day you woke up to find that the “once-exciting choices” have become a drag and no longer hold the kind of challenge or fascination as it did before. If the answer to all these questions is a resounding ‘yes’, then, well, it’s time to find something new. 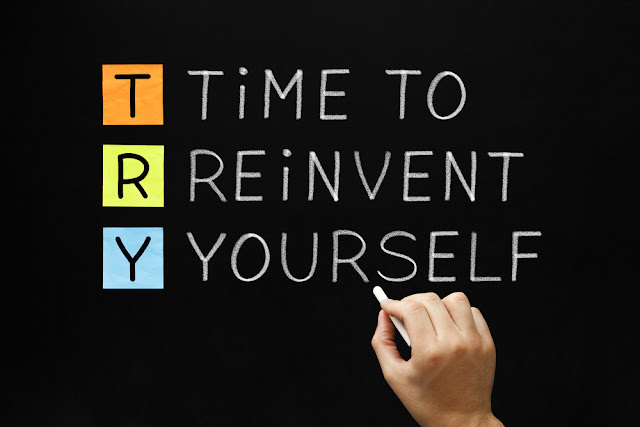 However, reinventing oneself is no simple undertaking, especially if it involves switching careers, getting over the loss of a loved one, or just finding a new course of life. It takes a good deal of planning, resilience and grit. Nevertheless, one has to start from somewhere. Here are a few tips to help you get started. Believe In Yourself: Self-belief forms the base of the process involved in handling the transformation that you wish to acquire. If you don’t trust yourself, then the chance of your efforts botching up are huge. Remind yourself that you had been great in your previous dealings and that you will do the same in the future. Take Your Time:When you feel at some point in life that this wasn’t something you wanted for yourself, you know it’s time to change. Reinventing yourself isn’t always easy. It can seem to be exciting, but at the same time, the change can be quite intimidating too. Therefore, it is essential to take your time to settle down and think about how you plan and go about it. Prepare yourself and decide as to how fast or slow you should move with your decisions rather than being prompted by others. Stop Calling Yourself Unemployed: You should be able to convince yourself first that you are not jobless rather you are taking a path that will lead you where you wanted to be. Only when you don’t blame yourself will you be able to go about it without feeling bad about the entire deal. It quite often happens that you start evading people to avoid answering their questions related to work. It is important to realize that if you are not able to face people and have enough strength to withstand them, you can never achieve your dreams. Have the courage to tell them that you have been working for about 8 years in the software industry and it is now you realize that you need to follow your passion in the airline industry. You will surely be respected for your confident efforts. Take It Step Wise: You should not change tracks all of a sudden. Consider organizing your steps in order to attain your goal, which makes it simpler for you to accomplish. If you are aiming to change your career or life, instead of leaping directly to conclusions, break it in to small multiple steps such that your first step leads to the second. Follow A Plan: Nothing works out without a concise, consistent and clear plan. You have to be able to focus on yourself such that you know what you are doing. If you have left your current job in the hope that you could start a business—it probably isn’t going to work. It is so because the word ‘hope’ does not reveal the passion in you. Realize the importance of what you are about to do and plan accordingly, not forgetting the fact that you stay committed to your duties during the task. Visualize Future: After you are clear about your future, take some time to sit back and relax for a while, be it a new career, overcoming a particular situation or even about changing people who are involved in your life. Visualize the past situation and figure out the reason what made you unhappy. Now, do the same and imagine a new future with all the changes made in it. See how happy you are! Ask yourself is it actually what you want in life. Overcoming Oppositions: When you present your ideas of transforming to others, be sure to face oppositions from people in and around you. You will get a negative feedback in the beginning, as they are used to seeing and dealing with you the way you are. Be prepared for such an encounter and deal it with your detailed plan of each step that will help them realize how well focused you seem about your future. You have to succeed in convincing them that what you intend to do now is actually what you want. Check Your Progress: After you have decided everything required to reach your ultimate goal, keep a track of all the progress you make towards achieving it. Be it a very small achievement; appreciate yourself for your efforts. This will thus build your self-confidence and help you pursue the ultimate aim in life. In this case, any progress that you make is ‘progress’ and will aid you leap forward in your scheme of things.